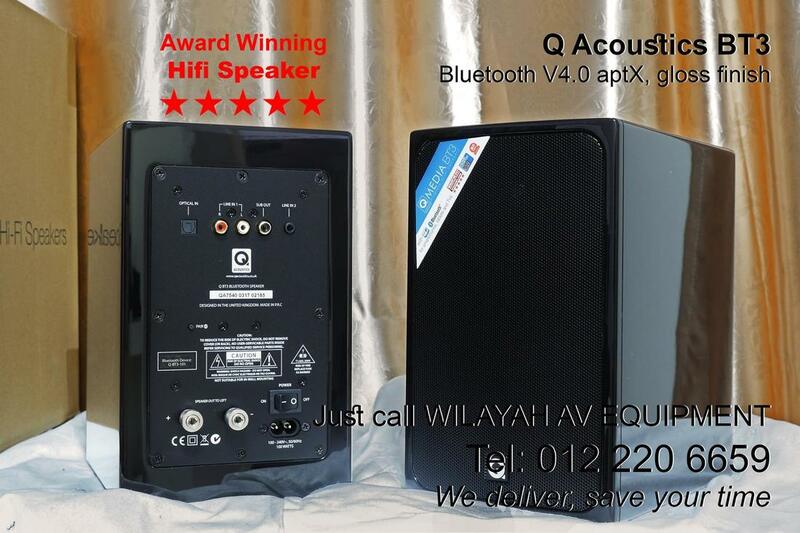 ADAM in Malaysia - Wilayah AV Equipment, your home theater system and hifi sound system dealer in Malaysia. More than 30 glowing reviews, numerous awards, and countless dedicated fans made the A7, the predecessor of this new model, a true legend in nearfield monitoring. Now, the legend continues with the A7X. The Adam A7X, A5X, A3X, F7, F5 are available in Malaysia now. 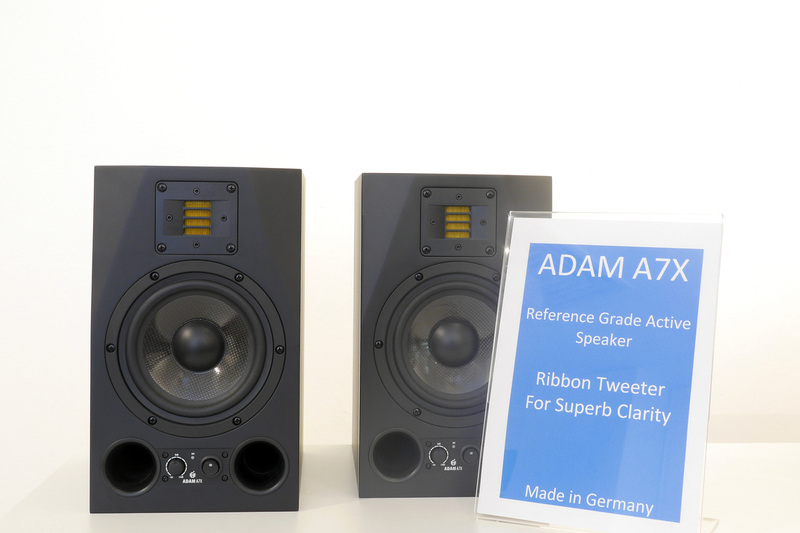 As truly professional reference monitors, every Adam is rigorously tested in the Adam Audio factory in Berlin, and it's clear their engineers have considered every detail. All drivers, all amplifiers, as well as the cabinet have been revised, resulting in a speaker that claims nothing less but to be a new benchmark in nearfield monitoring. The first aspect that distinguish the old from the new model is the X-ART tweeter. The ‘X’ stands for ‘eXtended frequency response’ and thus for one of the features of the Accelerating Ribbon Technology that has been drastically improved: the frequency response. It now extends all the way up to 50kHz. In addition, the X-ART tweeter has a higher efficiency and higher maximum sound pressure levels. The perfect integration with the lower frequencies has been achieved with a newly designed 7” midwoofer. It has been redesigned with a much bigger voice coil (1.5”) and is driven by an amplifier with twice the power compared to its predecessor. This combination produces an amazing sound and pressure levels with an almost distortion-free musical reproduction. Each driver has its own dedicated amplifier. A 50W A/B amp is responsible for the X-ART tweeter, while the midwoofer is being driven by a 100W PWM (Pulse Width Modulation) amp. The front panel includes a power switch and a control for the volume that retains the volume setting independently from the on/off switch. On the rear panel of the A7X are several additional controls: a gain for the high frequencies (± 4dB) and two shelf filters for high and low frequencies. To ensure greater compatibility, there are both XLR (balanced) and RCA (unbalanced) connectors. The X-ART (eXtended Accelerating Ribbon Technology) tweeters and midranges incorporate a new approach to the Air Motion Transformer concept originally developed by Dr. Oskar Heil. ADAM Audio has improved upon this splendid idea utilizing superior geometries and materials to achieve unprecedented audio fidelity. X-ART strikes a new path concerning the kinematics of moving air, resulting in a dramatic improvement in the quality of audio reproduction. The X-ART membrane consists of a pleated diaphragm in which the folds compress or expand according to the audio signal applied to them. The result is that air is drawn in and squeezed out, like the bellows of an accordion. The ADAM X-ART design overcomes the piston-like motion of all conventional drivers and their inevitable problems by achieving an improvement in air loading by a factor of 4 over conventional transducers. To illustrate the basic principle by a comparison: When you breathe, your thorax is moving slowly whereas the air is moving comparably fast. Similarly, the X-ART diaphragm presses the air faster in or out of its folds than they themselves are moving. This markedly superior ”motor” is responsible for the unprecedented clarity and pristine transient reproduction that can be heard with the ADAM X-ART drive units. In addition, the X-ART tweeter’s pleated membrane avoids the typical breakup/distortion and subsequent dynamic limiting at higher frequencies of stiffer voice coil designs, such as those found in dome and cone tweeters. Another positive result of the X-ART design is that the driving ”stripes” are in direct contact with the outer air and are cooled immediately. "Along came the Adam A7X. When I plugged in the first pair that we received, I was immediately made aware these guys have POWER! Plus, they are also smooth in the top end! 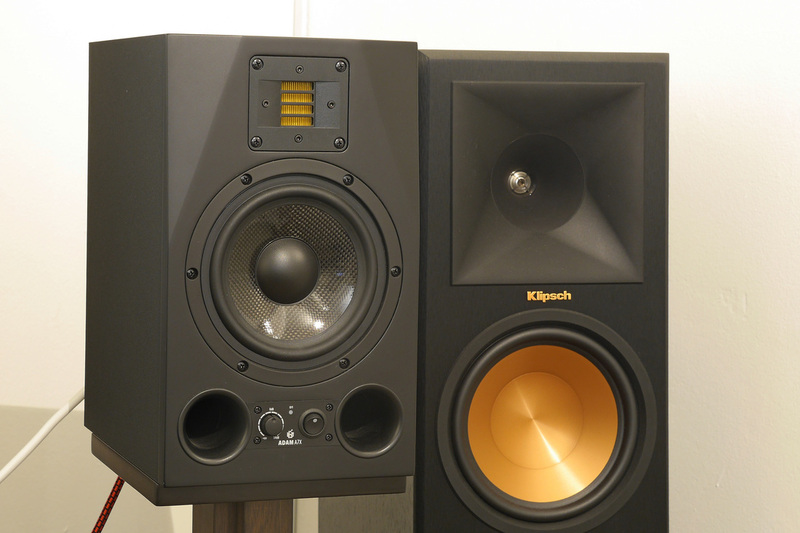 The large front ports make these woofers sound a lot bigger than their footprint. So, you may have to take the bloom of the air moving into account vs. what is coming at you right off the woofer. And if you want a little more accuracy in the lows (and more power, to boot) the A8X is going to be the better choice. 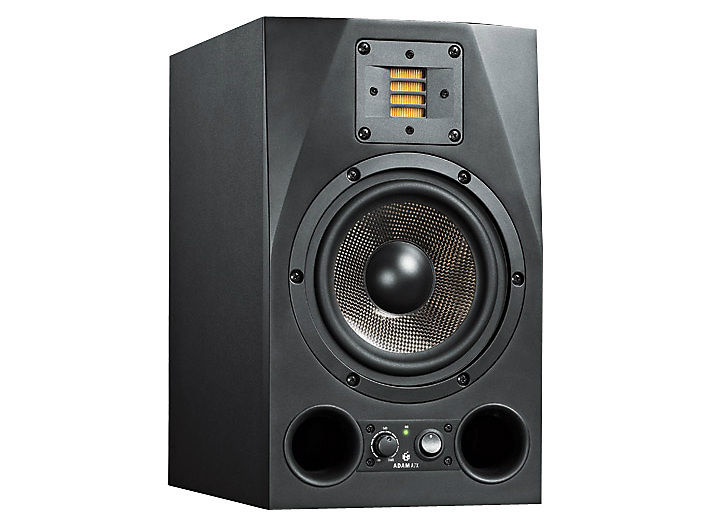 The A7X has been without a doubt been our most popular studio monitor in the last year. But the rest of the ADAM line is most certainly worth considering as well." 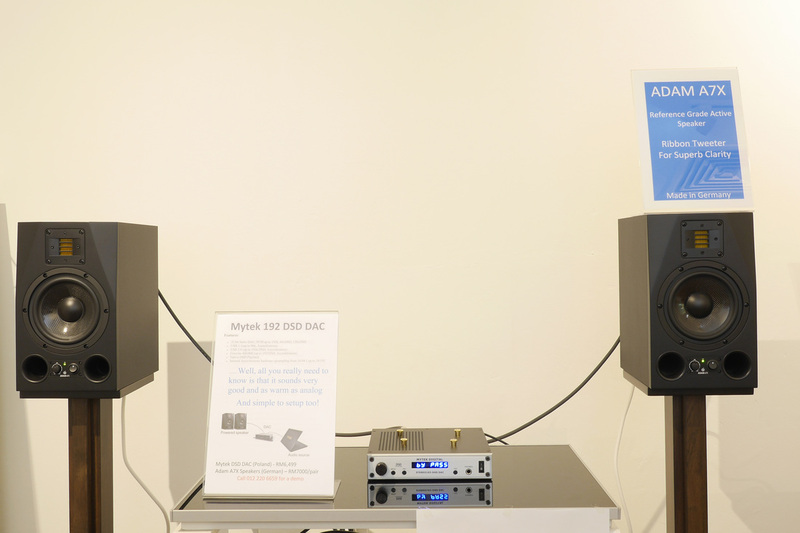 The Q Acoustics BT3 is a moden, good looking, compact hifi system with Bluetooth designed for music and movies. It is an award winning hifi sound system for its sound quality and reliability. Q Acoustics BT3 is also made to be affordable. It is a recommended product for beginners and serious enthusiast. 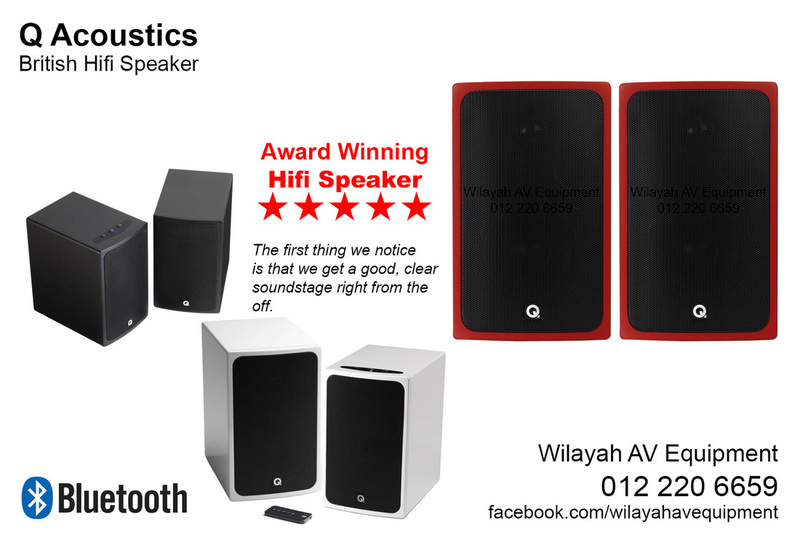 Q Acoustics BT3 comes available in Black, White & Red available in Malaysia.